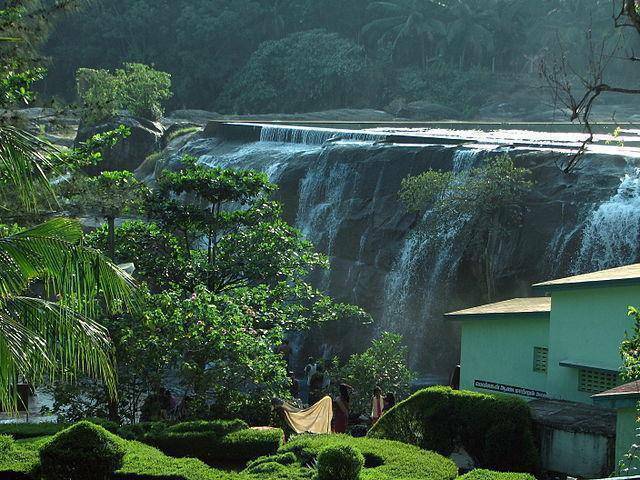 Thirparappu Falls are about 55 KMs from Thiruvananthapuram and situated on the Kodayar (Kothai River). Water falls on a rocky river bed from the height of nearly 15 mts. It should be visited during monsoon and post monsoon season as rest of the year there isn’t much water flowing here. Amid the mist and the sound of the falling water, there is also a children’s swimming pool that has been recently constructed. Place is usually thronged by tourist and as such is not very well maintained in spite of the beautiful surroundings. There is boating facility also available here. There is Shiva temple near the falls, Thirparappu Mahadevar Temple.